Innovative Creative Technologist with a weakness for tea. My passions lie at the intersection of digital user experiences and storytelling; leading teams in reframing and reimagining complex user interactions and technology problems. In my ten years experience, Ive built a tool chest of technical architectural skills and blended that with a user-first sensibility. Ive become an effective bridge between the technology and creative worlds. Below is a sample of projects I have led. Kimberly-Clarks Poise product underwent a new branding effort in 2014 and needed a website to match the new identity. The rebrand provided the perfect opportunity to update the code base, taking a mobile-first approach, and rethink the technical platform of the previous website. The current website is built on top of a responsive framework that I evolved from earlier responsive sites. Created front end framework and site architecture. Worked closely with Solution Developers on integration with content management system. Led scoping, estimating, and creation of technical project sprints. The Power of Family Meals is a website devoted to gathering the family for mealtime. It provides a recipe hub with videos, article content related to mealtimes, social integration, and more. During the build of the site, the data made the trend clear that users accessing the recipes using their mobile devices. After hearing that report, I single-handedly added in the responsive code to the site, a first for a client site at Organic. The team was able to take my hard work and run with it, surpassing client expectations with a top-rate responsive design that even got a tweet from @RWD. Led client education and presentations of responsive reviews. The Hilton HHonors redesign was completed as part of the Hilton rearchiture and replatform engagement. As Hiltons loyalty brand, the website needed to integrate with multiple vendors and APIs to create components that targeted users based on their previous booking and actions. 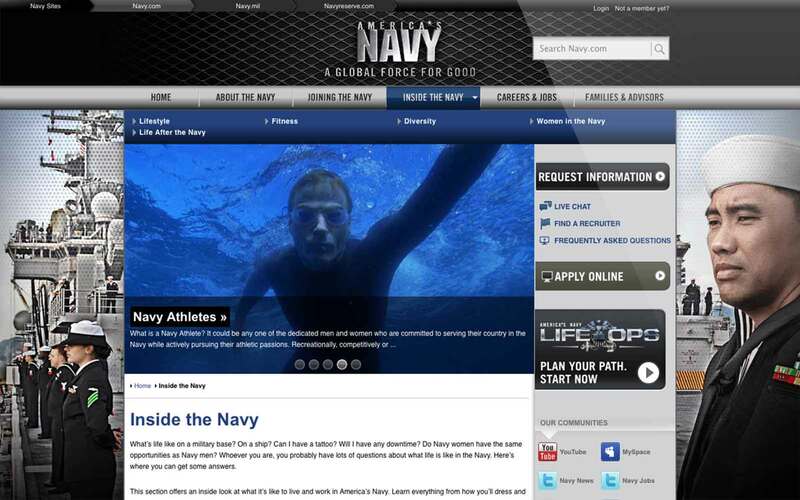 This lead to 38% higher enrollment due to the localized targeting and seamless integration. Contributed to content management system architecture and components. 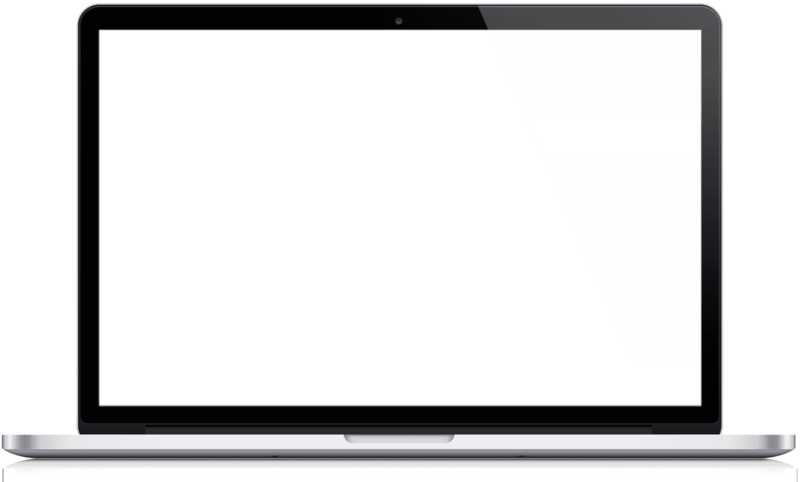 Led team of 4 developers in the development, launch, and maintenance of Hiltons HHonors brand site. Coordinated daily calls with vendor development team to ensure best product release. Spearheaded development and documentation of accessibility requirements. Led team of 6 developers in the development, launch, and maintenance of Hiltons Luxury brand track. 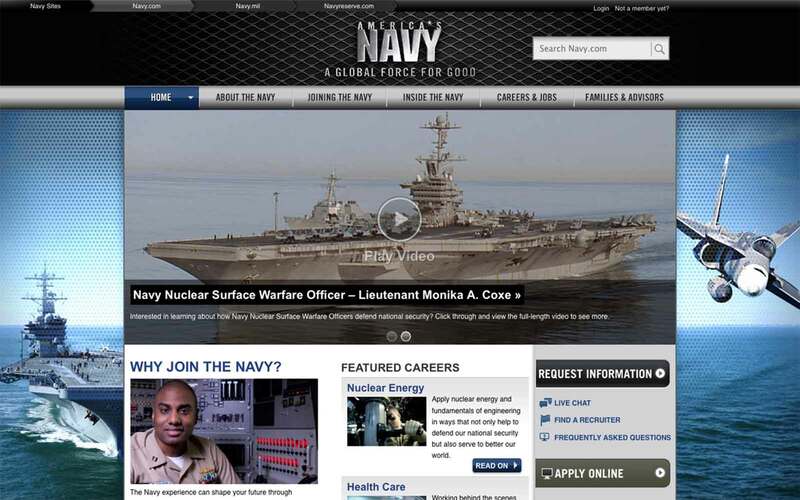 The primary recruiting platform for the United States Navy needed to mature from a static templatized site to a robust, content managed platform. Our challenge was update the design of the website as well as find a content management system that allowed for quicker content publishing while still being scalable and robust. After spending six months researching content management systems and frameworks, our team decided on Magnolia CMS due to it ease of use for content authors and flexible templating kit. I was in charge of working with the UI Architects to meet coding and accessibility requirements, as well as be a bridge to the creative team. Design creative concepts and lead creative production. Led front end development, working with UI Architect and Creative teams. Educate UI developers on Magnolia CMSs templating kit and its associated language (Freemarker). Ensure accessibility requirements were met in accordance with WCAG 2.0 Level AA. 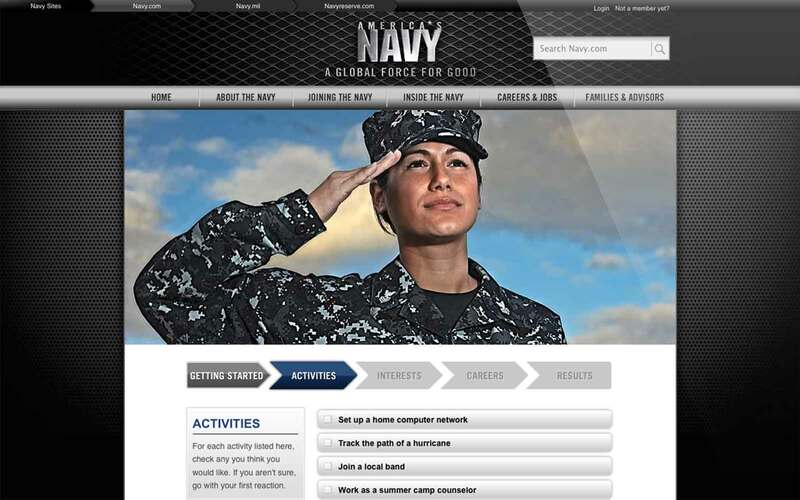 This site has been redesigned since the original launch. Please view the screenshots below or view the site in its original form at the Way Back Machine.